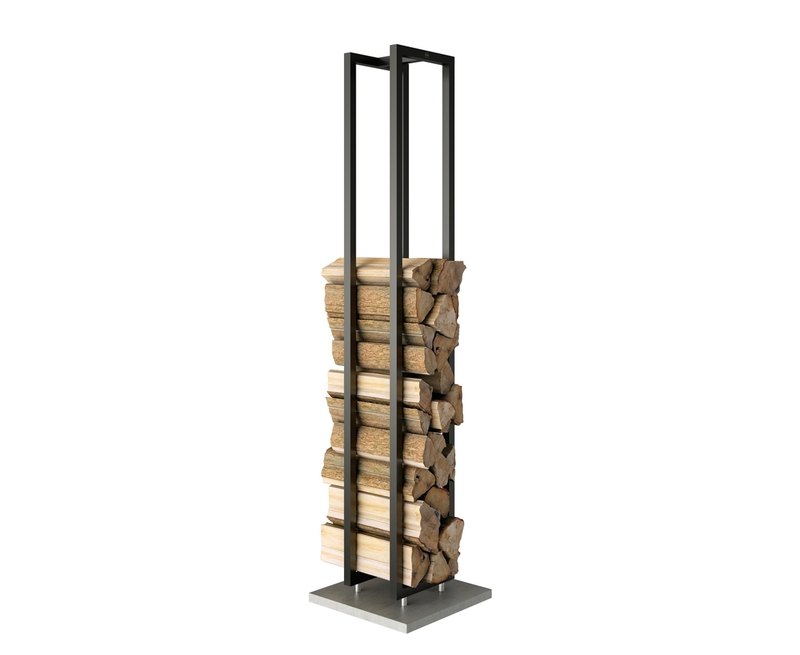 Elegant steel wall holder with back plate to ensure the firewood does not touch the wall. 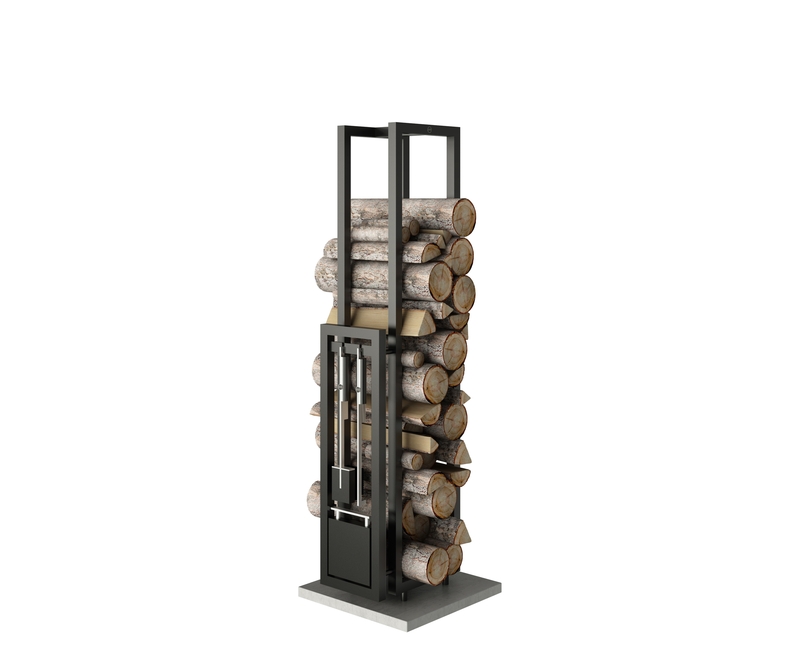 Then dry wood will always be within reach. Easy to mount. Wood with back plate 40 lbs. Woodwall without back plate 27 lbs.